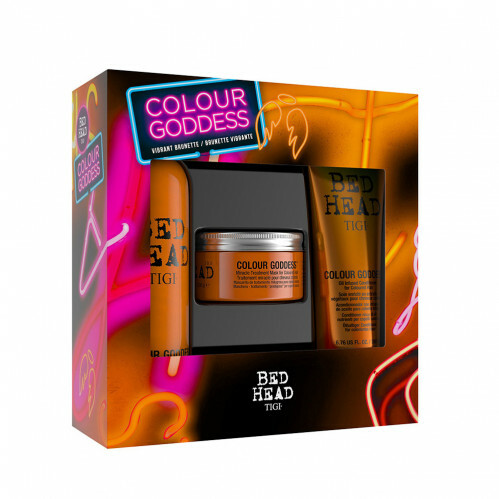 Keep your colour fresh with the TIGI Bed Head Colour Goddess Gift Set. 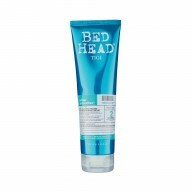 This set will leave your hair soft, silky and salon fresh for longer than ever. The oil infused Colour Goddess Shampoo and conditioner are sulphate free, helping to remove build up of pollutants that in time cause colour fading and the Treatment Mask will add nourishment and hydration to keep your hair at optimal condition! 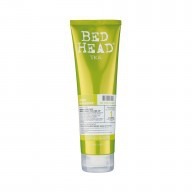 Bed Head’s Colour Goddess Shampoo and Conditioner are enriched with almond oil, nourishing coconut and keratin to keep your coloured hair in the best condition. 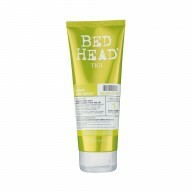 Being sulfate free helps to remove pollutants and any build up in your hair, keeping it constantly glowing. Try out the Miracle Mask for when you want to add a touch of moisture, without losing the vibrancy of your colour.